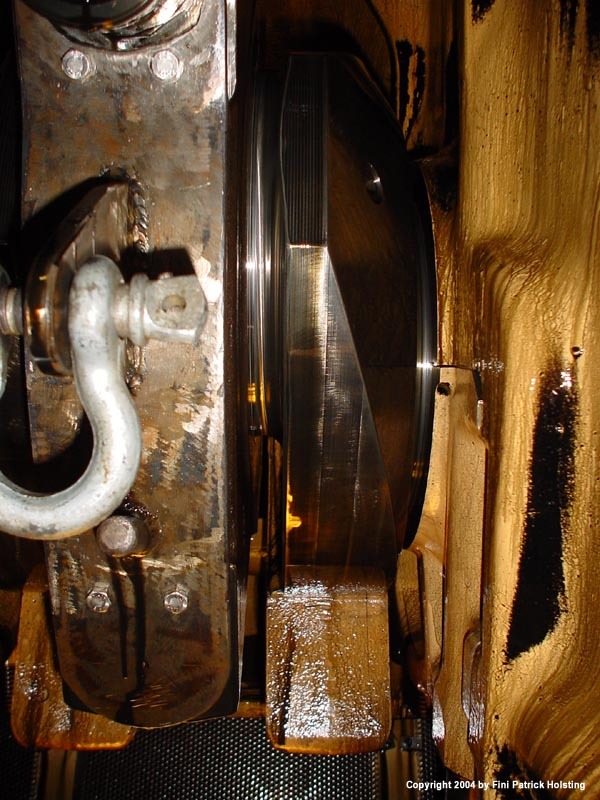 Performing a piston pull and -change on the starboard main engine. With the cylinder cover of the aft most cylinder removed, the top of the piston and the cylinder liner becomes visible. These well used parts are black from carbon and exhaust deposits. 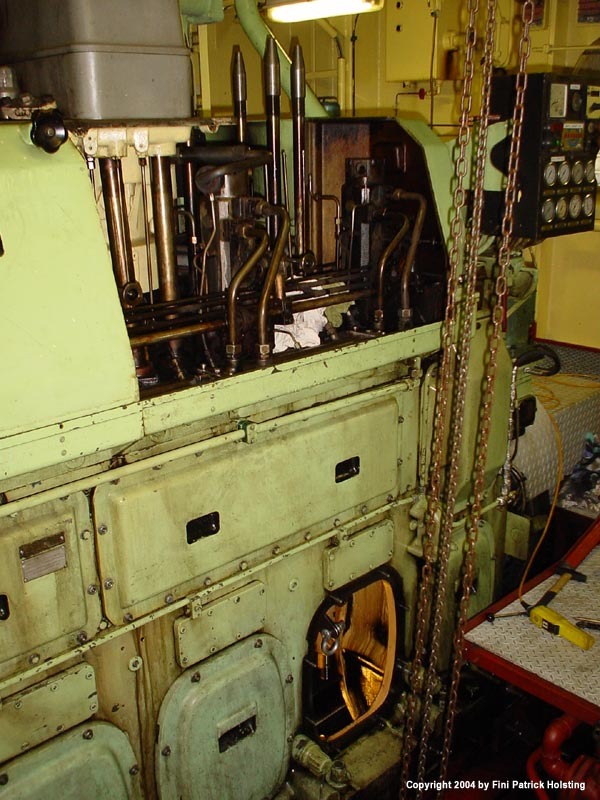 A look at the port side of the aft part of the starboard main engine, with cylinder no. 6 partly dismantled and open crank case door. A piston pull on these engines is of course on a rather different scale than the enormous cross-head engines found in container ships, but the parts are still quite a bit larger than your average car. A cylinder cover which fits on top of the cylinder liner. The cylinder cover houses the intake and exhaust valves, the rocker arms and the push rods, as well as a number of other parts. Preparing to dismantle the piston rod bottom bearing, which fastens the piston rod to the crank shaft. 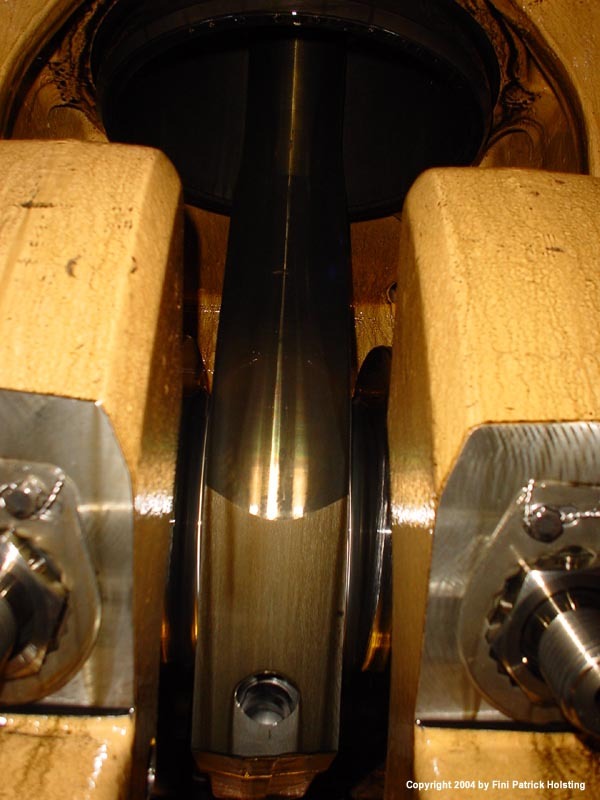 A special lifting tool has been mounted to the bottom of the piston rod bearing (left) enabling the loose piston rod bottom bearing to be lifted out of the engine crank case. 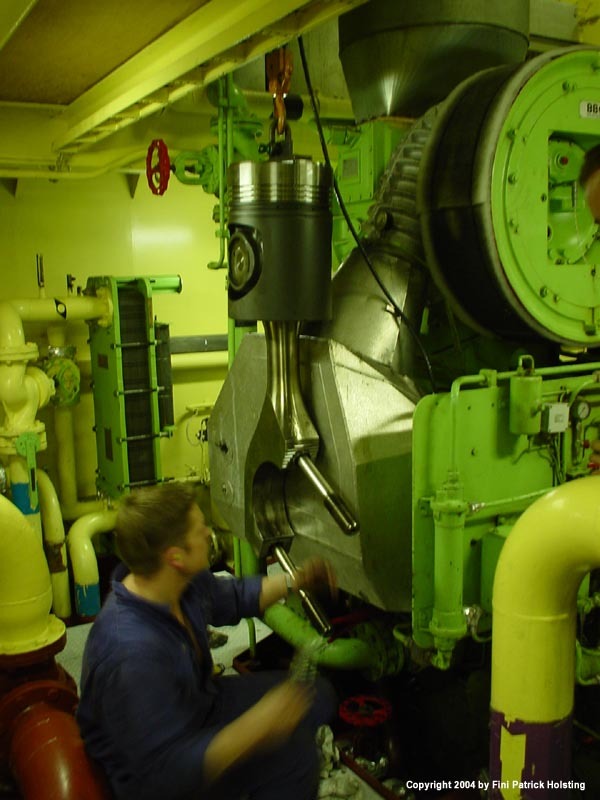 2nd Engineer Per is preparing the new piston before installing it in the starboard main engine. This included fitting the piston rod stud bolts, bearing shells and piston rings as well as general cleaning. The piston is hanging up against the scavenge air cooler, and to the right is the turbo charger and its air intake filter. 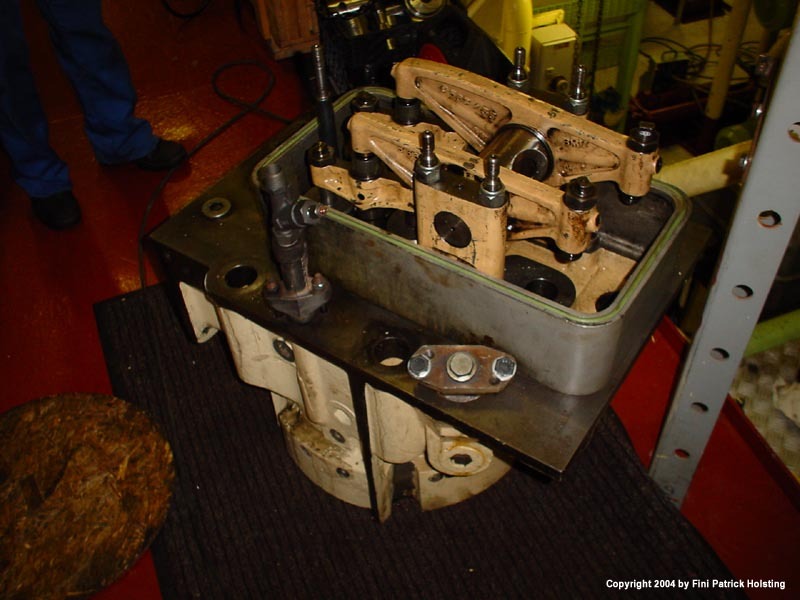 The new piston has now been installed in the engine and fastened around the crank shaft. 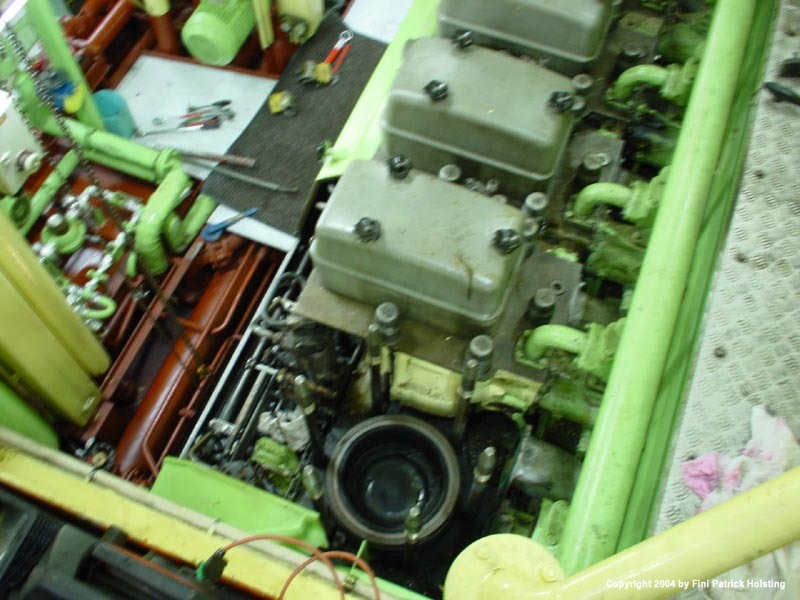 Here we're looking into the engine from the starboard side, with the bottom of the cylinder liner and the piston rod visible. 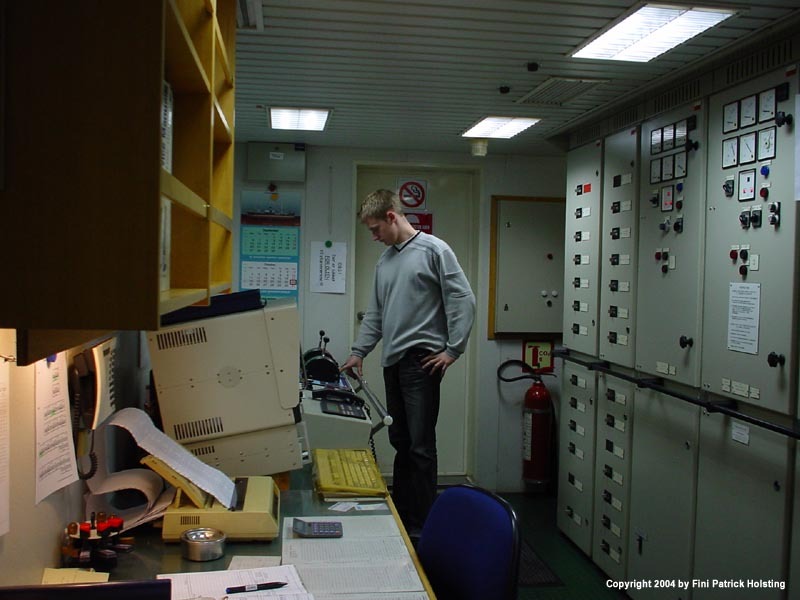 Maersk Forwarder's Engine Control Room from where most of the machinery could be operated and monitored. To the right the main switchboard and to the left the alarm monitoring computer. In the background I'm operating the main propulsion operators panel. 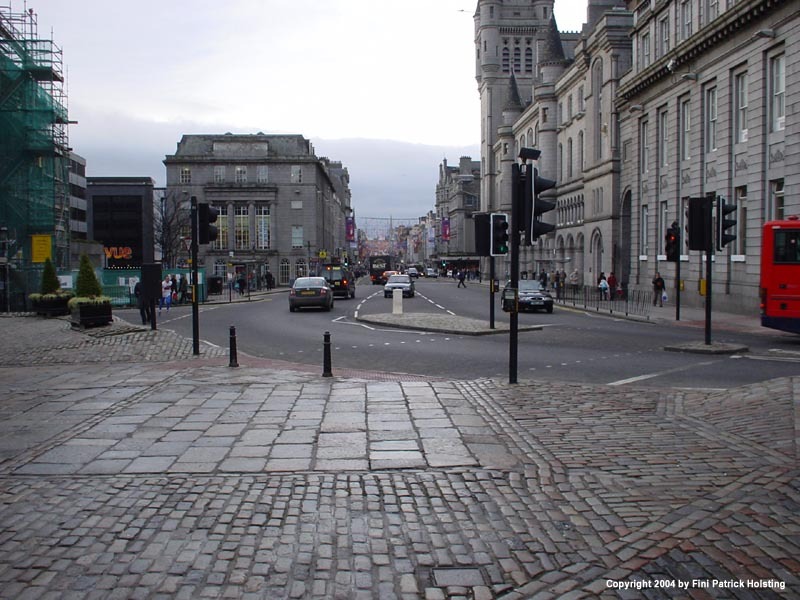 Ashore in Aberdeen, Scotland, we're having a look down Union Street. 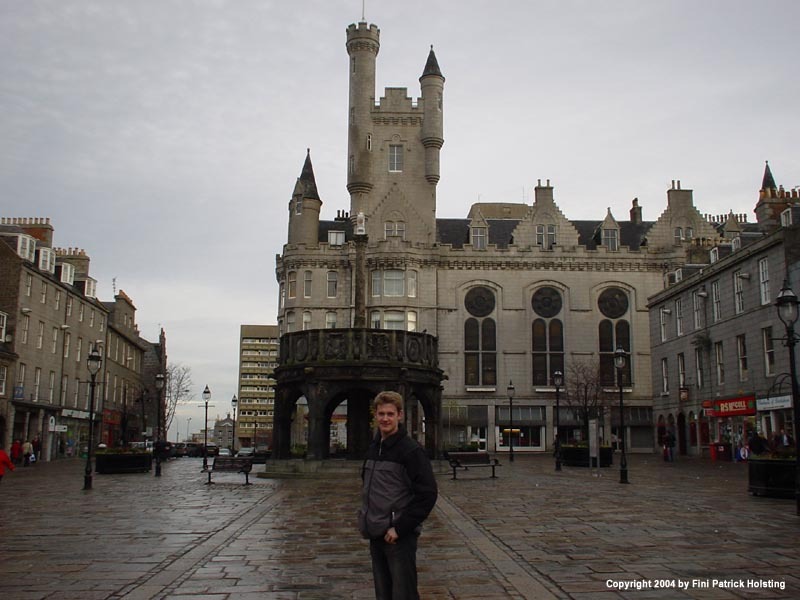 Aberdeen is an old and very cozy city with lots of historic buildings and a population close to 200,000. Aberdeen was Maersk Forwarder's base port, so we visited once or twice a week. Looking the other way, with Aberdeen Mercat Cross from 1686 on the old town square, the so called Castlegate at the end of Union Street. 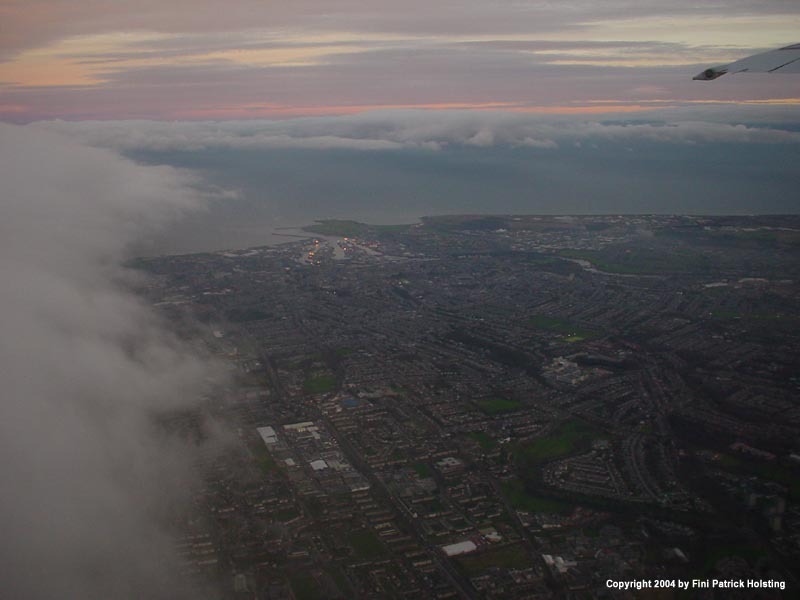 Flying home from Aberdeen, the port is visible on our left side. Incidentally, five years later in December 2009 I again joined the Maersk Forwarder in Aberdeen, this time as a 2nd Officer. I was very happy to return!